Las Vistas Homes are located in the coastal community of Del Mar, California. 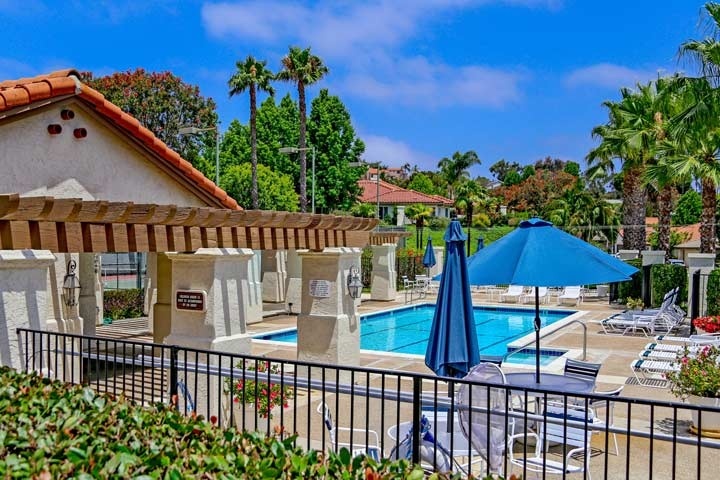 Las Vistas is a very nice gated community located on the east side of the 5 freeway in Del Mar. There are several sections to the Las Vistas community with select homes located on the 12th green of the Lomas Santa Fe country club golf course. The homes have nice interior features which include vaulted ceilings, large Master suites, private patio areas and golf course views. The community is under a homeowners association with very nice amenities which include a nice association pool, spa and tennis courts as pictured above. This is a great location near local restaurants, golfing and the Del Mar race track. Many of the beaches in Del Mar are an easy 10 minute drive way. Below are all of the current available Las Vistas Homes for sale and for lease in Del Mar. Questions regarding this community and any of the homes? Please contact us at 888-990-7111 today.